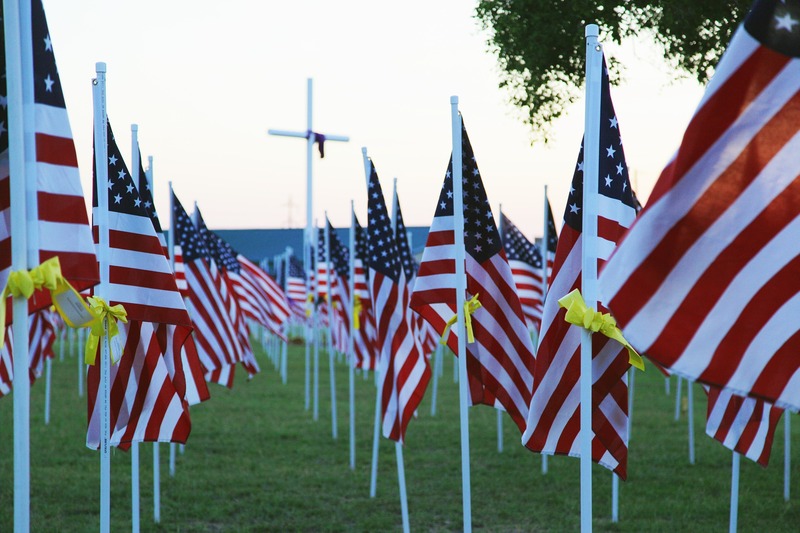 Memorial Day was last Monday, and although I wasn’t in the States to honor it in person, my social media was flooded with pictures of backyard barbecues and military cemeteries. For every status update about camping trips and family reunions, there was another, more angry one insisting that Memorial Day was a time for reflection, not celebration, to express gratitude for those who served. The U.S. has a pretty intense culture surrounding how we treat members of our military, present and past. While it’s perfectly acceptable to criticize policies, politicians, and even the President, talk bad about the military and you’re asking for trouble. You can openly question the U.S.’s foreign policy. You may even be allowed to express disdain for the military institution as a whole. But disrespect an individual soldier and that’s it, you’re out. You’re labeled as ignorant, disrespectful, ungrateful, un-American, and worse, unpatriotic. In the U.S., it is perfectly acceptable to walk up to someone in uniform, a complete stranger, shake their hand, and say, “Thank you for your service.” This is only true for military personnel, and no other public servants – not the postal worker who diligently delivers your mail every day, nor the electrical worker who risks their life fixing damaged electricity boxes up on a pole in high-speed winds during a storm, and certainly not the Senator who has devoted their career to representing your interests in Congress (in theory if not always practice). As a child growing up in this culture, I took this patriotism and military appreciation as a source of national pride. But as I’ve gotten older, I realized a lot of the rhetoric surrounding this sanctification of the military doesn’t actually line up with U.S. foreign policy. Ask someone why we should honor veterans and fallen soldiers twice a year on public holidays? “They paid the price of our freedom.” “They risked their lives protecting our liberty.” “They devoted their lives to serve, so that we might live free.” Read any article on this holiday, and you’ll see the same buzz words pop up. Now just think about how those values are reflected in any of the conflicts the U.S. has been involved in in say, the last 50 years. Ironically, despite this excessive freedom our soldiers are supposedly protecting, the one opinion I don’t feel comfortable publicly expressing beliefs about are my thoughts on the U.S. military culture. So instead, I asked my non-American friends: How does America’s sanctification of the military look to other people who haven’t grown up with this culture? “I kind of gave a similar speech during a … meeting about changing veteran’s day from a 1-hour reflection to having the day off. It was a magical moment in my life as a veteran telling non-veterans why the school shouldn’t shut down for veteran’s day.“ -Anonymous, U.S.
“To assume that every soldier the US has ever lost in any of its conflicts is ”the cost of freedom” is just silly. For this to be the case, you’d have to assume that ‘freedom’ equals ‘US interests’. There have been operations to increase the sphere of influence, acquire land, and prop up dictatorships around the world. There was even the notorious Whiskey Rebellion against taxes on whiskey just after the War of Independence (which also had its beginnings in opposition to taxes). There too, lives were lost. No country is infallible and to suggest that is a dangerous business. This does not mean that the net effect cannot be judged to be ‘good’. “Before coming to the US, I thought american army and soldiers were evil and nosy busy trying to get into other countries’ interval affairs. (Sorry, that was honest thought that a lot of people of other countries still think.) After knowing soldiers and veterans personally after I came here, I realized lots of people join army for a living, just like many other jobs, and including many who want to immigrate for the better lives of their families got the dangerous tasks. And of course, the soldiers and veterans are just normal people. So in many cases now, I still hold this impression of ‘Old men start wars, young men die.’ My high school american political science book called US government ‘the world police’, but hey, some human rights just went all downhill after US army went there, for example, Iraq. Not denying in blanket that America is not helping some human rights problems aboard, but really, a lot of things done are just nosy or excuse for American interest, or, the interests of these who start war. (It’s true for a lot of nations too, but I heard from my business major friends who learned how the US government is deliberately treating weapons industries and wars as a business, and how a lot of propaganda is made to maintain the business like ads. And yeah, the concept of making military almost holy and sacred scare me. So, universally, I think war is evil, even if necessary. (That apply to all countries). The idea of mentally reject the notion of nationality and country arose from the personal double identity torn between two countries that I both love and find faults in. Who would have thought… something that the U.S. has in common with Russia. Please feel free to share your own (polite) thoughts in the comments.